Let’s get the good news out of the way first. Last month you may remember I said that, because I’d broken my upper humerus, I had limited movement in my arm. Good progress has been made in the past month and I no longer walk like a penguin. I can do pretty much most domestic and social activities unaided now, including drive my car. Freedom at last!!! I even managed a three hour baking class last week where we were throwing around a heavy batch of bread dough (I did it left handed just to be on the safe side). Apart from trying to coax my damaged wing back into health, what else was I up to on October 1, 2017? I’m not one of those people who makes a habit of simultaneously reading multiple books. Two I can manage providing they are in vastly different genres (a crime novel say and a more literary novel, or a novel and a short story collection) but unusually I have three books on the go at the moment. The first is my 44th Booker Prize winner – Vernon God Little by DBC Pierre which won the prize in 2003. This is not one I was looking forward to read and it seems I am not alone. Although some reviewers thought it highly comic, others hated it and didn’t feel it deserved to win the prize. It’s set in a town in Texas in the aftermath of a mass shooting of students at the local school. One student, Vernon Little, is taken in for questioning and gets caught up in the legal and media circus. I’ve not yet read far enough to judge whether this will be one I enjoy but it certainly has a unique style. By contrast on my e-reader is a psychological story that became a cinema classic when it was adapted by Alfred Hitchcock with the leading roles taken by James Stewart and Kim Novak. The film was Vertigo and the book was D’entre les morts (From Among the Dead) by Pierre Boileau and Thomas Narcejac. It was published in English as The Living and the Dead in 1956 and now re-issued under the new Pushkin Vertigo imprint. Apart from re-locating the action from Paris to San Francisco, Hitchcock seems to have stayed fairly close to the original story of a former detective asked to help an old schoolfriend who is concerned about the increasingly strange behaviour of his wife. Interest in his quarry becomes a dangerous obsession however. My third book is a re-read. It’s a novella which has become a stable of the school syllabus in the UK for 14-16 year olds. I’d never read Of Mice and Men by John Steinbeck until four years ago when it was chosen by the book club I belonged to at the time but loved it (my review is here). Now I’m re-reading it to help coach a young girl in my village who is being bullied at school so studying on her own until a solution can be found. One of my goals for 2017 is to enjoy the books I already own and to reign back on acquiring yet more. I started 2017 with 318 unread books. I’m holding steady to last month’s total at 274. I bought just one book in September: The Ladies’ Paradise (Au Bonheur des Dames) by Emile Zola published in 1883 as part of his Rougon-Macquart cycle. This one focuses on the world of the department store, a form of retail outlet that is very familiar to us today but was an innovative concept in the mid-nineteenth century. Until then, shoppers had to visit separate establishments for different items but with Le Bon Marché (the model for Zola’s store) they could find all their purchases under one roof. The book was adapted by the BBC for a costume-drama series The Paradise broadcast in 2012 and 2013. I don’t know what I’ll be reading later in the month other than one of the remaining six Booker prize titles from my list. It’s a long time since I read any of the Louise Penny novels I bought on my last trip to the USA ( I much preferred the covers of the US editions to the British ones) so a return to her fictitious village of Three Pines could be on the cards. I also found a little collection of Penelope Lively books when I was hunting through the shelves recently and its ages since I read anything by her. As always there are too many choices! Watching: I read Ian McEwan’s The Child in Time at the time it was published which is now about 30 years ago and went on to read and enjoy many more of his novels (his early output is, with the exception of the magnificent Atonement, superior to his more recent work.). The recent BBC adaptation starring Benedict Cumberbatch was a reminder of just how powerful a study of loss and grief The Child in Time is and of McEwan’s versatility as an author. Required viewing in our house at the moment is The Great British Bake Off. I’m frustrated by the intrusions of the commercial breaks but other than that the series hasn’t seemed to have suffer much by it’s move away from the BBC ( I never did like the Mel and Sue double act). There’s a new series of The Apprentice starting I think this week – this is a show that is probably on its last legs. The last few series they seem to have scraped the barrel and found the most inane and useless candidates possible. They talk a lot about how great they are but I wouldn’t let them anywhere near any business of mine. It’s good for a laugh though. Apart from nursing my damaged paw, what else was I up to on August 1, 2017? I’m gradually making my way through the titles on my 20 Books of Summer reading list. After a diversion to read The Monster’s Daughter, a debut novel by Michelle Pretorius) I was looking for something from my list that promised to be equally well constructed and thought-provoking. Sacred Hunger ( joint winner of the Booker Prize in 1992) by Barry Unsworth gets that bill perfectly. It’s set in the eighteenth century when the slave trade was in full flow. The action takes place on a ship sailing from Liverpol to pick up a human cargo in Africa and sell it in the sugar plantations of Jamaica. It makes for grim reading understandably though Unsworth doesn’t wallow in details of the inhumane conditions under which the captured Africans were kept on board. His theme is the lust – the hunger – for money which drives men to extraordinary actions. You couldn’t get more of a contrast between this and a book I just started today – What Matters in Jane Austen by John Mullen. It’s a collection of twenty essays about different aspects of Austen’s work. One deals with the names characters call each other and how this is often used to denote not just their different social status but their changing relationships to each other. Another looks at the question of the age at which its deemed appropriate for people to marry. I’ve read three essays so far as part of my participation in Austen in August and am impressed by how thoroughly Mullen knows these novels. He deals with details and nuances that escaped me when reading Austen but know I can see add new perspectives. Fascinating stuff. One of my goals for 2017 is to enjoy the books I already own and to reign back on acquiring yet more. I started 2017 with 318 unread books. I’m now down to 278 ( it would have been lower except I indulged with four new purchases and two ARCs in July). I had been thinking to buy a few more once the judges chose the Booker long list but when the announcement came last week I was underwhelmed. I’m sure there are many fine books on that list but with one or two exceptions it felt rather predictable. So I’m just going to get some samples and se if anything sparks my interest. This month is All August/All Virago month so I have Good Behavior by Molly Keane lined up. This is the first novel she published after a writing break triggered by the death of her husband and was the first time she used her real name. It was shortlisted for the Booker Prize in 1981. I also have Larkinland by Jonathan Tulloch which was recently published by Seren ( a Welsh publishing house based about 45 minutes from my house). It’s part mystery, part biography, part romance set in 1950s Hull and recreates the world of Philip Larkin. Larkin makes an appearance in the guise of librarian Arthur Merryweather and through his poems which are woven into the narrative. Watching: The Handmaid’s Tale as dramatised by Channel 4 in the UK is coming to an end. I ddo nt enjoy the one episode which showed the backstory of Offred’s husband but everything eelse about this series has been first class. Listening: Since I stopped commuting to work I’ve not listened to anywhere near the same number of audiobooks this year. I did try one in the Aurelio Zen series about a fictional Italian detective but the narration was really off putting so I gave up after an hour. A pity because this series written by Michael Dobdin is meant to be excellent. And that is it for this month. Lets hope by the time of the next snapshot I’ll be feeling more perky. A Chinese friend tells me that this is the year of the Roster which is my animal sign. According to Chinese traditional beliefs, you may face big challenges in your animal year. However once those are overcome good fortune will come. It can’t come too soon for me! I’m advised that wearing red ( especially red underwear) will help. Time to get the credit cards out I think. Enjoy my library collection to the full by reading only these books for six months. In other words: read the books I already own rather than go chasing shiny new ones. This was a more positive approach than a book ban (I know from past experience I’d never keep to that) and did give me the flexibility to borrow from libraries. I did acquire a few titles via give aways and offers of review copies but I also declined more than I accepted so the TBR is still on a downward trend. Down from 318 at the start of the year to 276 by end of June. I’m counting this as success. My second goal was to Learn how to use Photoshop to create more compelling images. With help from my husband who is a whizz-kid with this software program and some online tutorials I’ve managed to get beyond the basics. Much huffing and puffing is still involved each time I want to do a new montage and realise I’ve forgotten the instructions again or my computer won’t do what the tutorial says it should do. But I’m getting there. I’m giving myself a breather in July before going once more unto the breach for the final five months of the year. I’ll keep goal number one but will give myself a bit more slack to buy a few new titles (I’m thinking four new books would be a reasonable allowance for a 5 month period). I have a very long wishlist that I maintain on Goodreads so chosing just four books from that list could be a challenge. Goal two will remain – there is still a lot more I to learn with Photoshop so I don’t think I can declare victory just yet. I’m going to add a third goal. Goal 3: I will finish all the books remaining in my Booker project. I have only 8 more titles to go before I’m done. No reason why I can’t do this by end of December. So what did I buy on my mini spree? I deliberately avoided going to a bookshop which would be way too much temptation. Mind you I have a few hours to kill in the city tomorrow so my resolve might waver….. (I’m making zero promises!). Stasi Wolf by David Young. This is an atmospheric crime fiction series set in East Germany in the 1970s, in other words when it was still part of the Soviet empire. 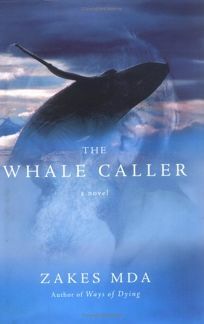 There’s a good review of this book by MarinaSofia at CrimeFictionLover. I won book two in the series in a give away earlier this year but was then advised to start from the beginning so was delighted to find what I thought was book. That will pay me to give closer attention to my TBR – I got home to find Stasi Wolf is the one I already have. Maybe it doesn’t count as a purchase in that case??? The Nature of the Beast by Louise Penny. I wasn’t familiar with this title in the Chief Inspector Gamache series set in Quebec and the publishers have a habit of using alternative titles for some of her books. So I did a quick web search while standing in the shop to confirm that I don’t already have this under a different name. I should have done that with Stasi Wolf shouldn’t I? My local library branch has a regular book sale table which I browse regularly, on behalf of my dad, for books in the Detective Superintendent Roy Grace crime fiction series by Peter James. He loves this series set in Brighton but gets frustrated because he can’t borrow them from his library in the order of publication. So I keep an eye out to fill in any gaps for him. No luck again on my recent visit but I did find that monstrously large book at the bottom of the stack. Cwmcardy is published by the Library of Wales as part of their project to bring out-of-print or forgotten books of Welsh literature back into play. Cwmcardy is one of two epic novels written by Lewis Jones about his experience in South Wales between 1890s and 1930s and is considered one of the Great Welsh novels. This is a rather graphic portrait of exploitation, violence and political aspiration experienced by the industrial workers of this part of Wales around the time of the General Strike in 1926. That could make it sound rather grim and ‘worthy’ but I note that the reviewer who nominated this as a Great Welsh Novel, considered it a page-turner full of action and sensation. It’s more than 700 pages long so quite when I’ll get round to reading it is a big question – however it cost 20pence which seemed a small investment for strengthening my collection of Welsh authors. Last month the book on my bedside table at the start of the month was one of the titles on my 20 Books of Summer reading list: The Vegetarian by Han Kang. It was one of the strangest books I’ve read for many years and one of my favourites for 2017 so far. (here’s my review my review in case you don’t know the book) On July 1, I was coming towards the end of another book from that reading list: A Tale for the Time Being by Ruth Ozeki. I’ve since finished the novel (review is posted here) but would love, if I ever got the time, to re-read it because it’s so rich in big themes (the meaning of time, Zen Buddhism, suicide to mention just a few) and yet is a highly readable coming of age story about a lonely Japanese girl. If all the books I read in July are anywhere as good as this one I’ll have a stellar month. On July 1 I was also creeping my way through Katherine of Aragon by Alison Weir which is the first in her series about the six wives of Henry VIII. I borrowed this from my sister just before going to see Weir talk at an author event marking the launch of book two in the series. I made it to about page 100 and then stalled. It’s not that the book is poor or lacking interest (I’m a sucker for the Tudor and Stuart periods in British history) but the characterisation lacks a bit of something special. One of my goals for 2017 is to enjoy the books I already own and to reign back on acquiring yet more. I started 2017 with 318 unread books. With the help of some culling (mainly children’s fiction and some non-fiction books) I’m now down to 276. Although I haven’t imposed a ban on buying new books, I have been very restrained. So far this year I’ve bought just three titles and acquired another ten through give-aways or from authors/publishers. I’m giving myself a huge gold star here when I think that in 2016 I bought/acquired 180 new items for the bookshelves. I don’t plan far ahead with my reading because invariably I change my mind at the last moment. I have plenty of choices in my 20booksofsummer list still and July is also when I’m going to join in the Japanese literature month hosted by Meredith who blogs as Dolce Bellezza. I also have a copy of The Monster’s Daughter, a debut novel by Michelle Pretorius that I’ve agreed to review before the paperback version is published at the end of July. 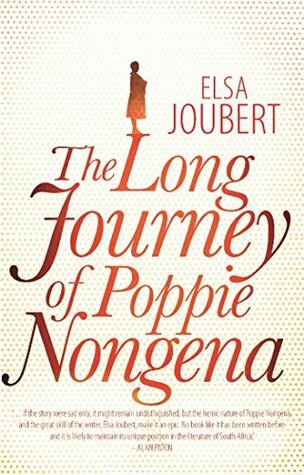 It’s set in her native South Africa and is a dual time frame narrative. Part of it takes place in 1901 at the height of the Boer War, when a doctor at a British concentration camp conducts a series of grim experiments on Boer prisoners. The other part focuses on a murder investigation in 2010 which begins with the discovery of a body burned beyond recognition. Watching: The Handmaid’s Tale as dramatised by Channel 4 in the UK. It’s a fabulous adaption that is compelling viewing. In between we’re catching up on an old favourite – Foyle’s War, a British detective drama television series set during and shortly after the Second World. All the action takes place in the coastal town of Hastings where Detective Chief Superintendent Christopher Foyle (played by Michael Kitchen) has deal with potential spies, blackmarketeers and a few murderers. Although some plots are a bit far fetched, the episodes are always convincing in their portrayal of the period (apparently the Imperial War Museum acted as an advisor to ensure historical accuracy). Listening: I’m a latecomer to the podcast called Serial – season 1 is a compelling true story about a murder in Baltimore and a fight for justice for the teenager sent to prison for 16 years. It’s as good as another true life story I heard earlier in the year called The Body on the Moor in which BBC Radio followed a police investigation that tried over the course of a year to identify a body found by a cyclist. I highly recommend this one. And that is it for this month. Lets hope by the time of the next snapshot I haven’t gone off the rails and my book stock hasn’t suddenly multiplied many times over.